We offer a semi-private room that can be booked in advance for groups of up to 30 people. 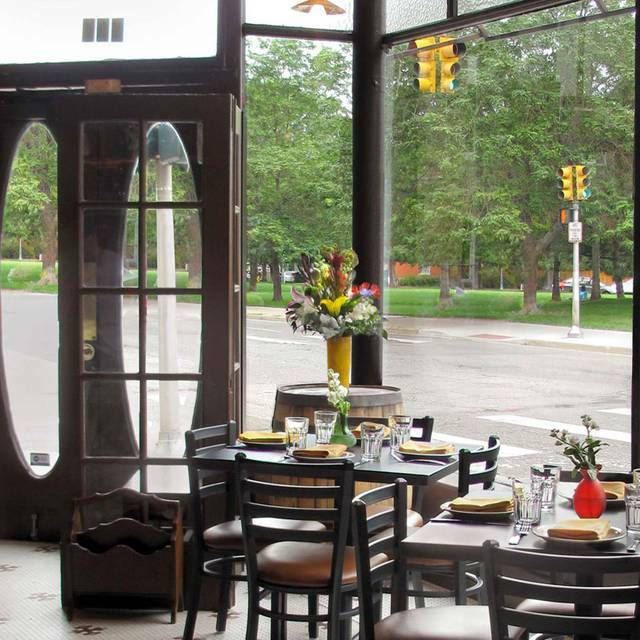 We accept reservations nightly and leave some of our dining room for walk-ins. Our bar area is open seating as well. If you do not see your desired time please come in to see us. We specialize in the Food and Wine of Rome and Southern Italy. Coperta translates to blanket; we want to surround you with comforting food and hospitality during your experience with us. The Mezzogiorno separates from the South from the North of Italy. We take pride in these regions and the history of their food and culture. We offer a full service bar and extensive Wine List of Southern Italian wines. We would love for you to come to see us! 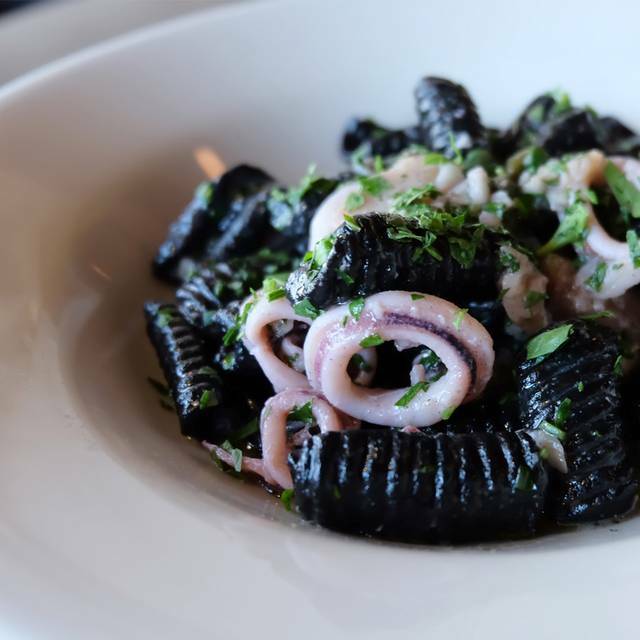 Every Wednesday we offer a choice of 3 pastas and a bottle of wine for $50. A perfect dinner for 2! First class classic Italian cooking, the best meal of this kind I've had in years. I love this restaurant. The food is always delicious. The service is always just the right balance between attentive and leaving-you-alone. It is a little too loud for my taste; the space is reverberant because there is not enough sound-absorbing material in it. My only criticism. My wife and I decided to walk over for dinner at Coperta. It was worth the walk in the April showers on Friday night. Excellent food, wine and services as usual. 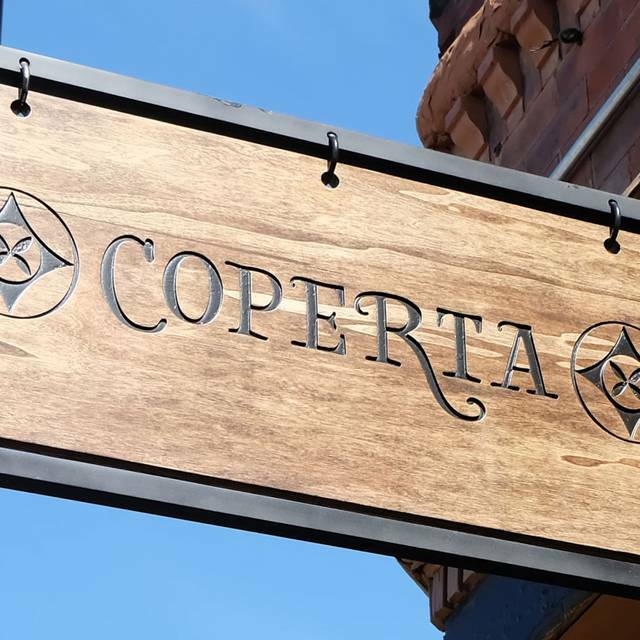 We love eating at Coperta. If you are looking for a traditional Italian meal I would suggest that you try Coperta. We travel to Italy every other year. 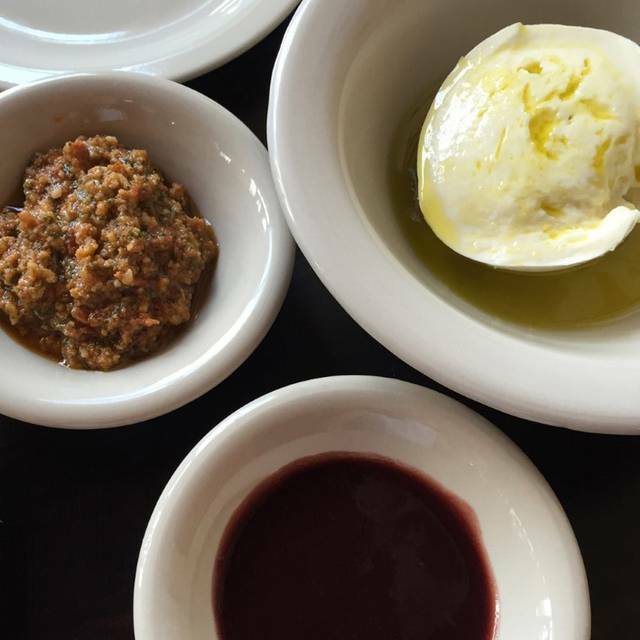 Don't expect a lot of "red sauce" at Coperta but, rather what is served traditionally in the small towns of Italy. Another great meal - Thank you! Worth the walk or drive. The food and service at this restaurant were both outstanding! very much enjoyable food as always and experience. i love the spuzzilia and mozzarella! the pasta disappoints me a little as it’s a little thick and chewy. but still a very fun and unique place to eat! Food was good but not great. Service was great. We felt it was overpriced for the quality. The rib appetizer was amazing! Cocktails were wonderful, wine was wonderful. Pasta was perfect. Dessert was fantastic. Everything was great. We will be back! I was at another restaurant recently where it was hard to choose because nothing jumped out at me. At Coperta it was hard to choose because everything (but lamb) jumped out at me. Only downside, a little loud for four older women to have much conversation. I go out of my way to have a least one meal every time I am in Denver. So good! Great specials octopus and sea bass were standouts as well as the sun-chokes! Will always go back. Great little spot in uptown serving amazing Italian. Cute or building. Friendly and knowledgeable staff. Highly recommend! The food and the service were good. The portions were very small which made it the wrong choice after skiing. The kids portions were larger than the adult portions. The appetizers were positively tiny. I wouldn’t go back. 5 star experience - lunch was outstanding. I had the ragú and the carbonara, both were phenomenal. The service was also second to none. we could better her. Her service and recommendations were outstanding. We can not wait to go back! Great food. Nice space. Good value. Mediocre service from our server but her teammates were better. braised lamb and beef, parmesan cheese..... excellent but very rich. My daughter had bucatini all'amatriciana, which was also excellent. I loved that you can get a small plate if you don't have a tremendous appetite. My gin martini made with a local gin was also tasty and different. We dined at Coperta for the first time on a Friday evening and had an amazing meal, start to finish! 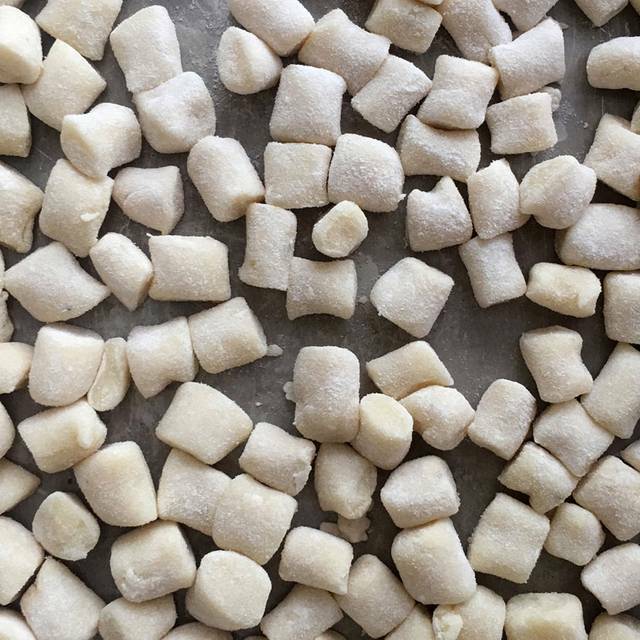 Having traveled in Italy many times, we are usually eager to try the simple, classic Italian pastas. With few ingredients, the execution needs to be spot on...and it was perfect. We tried both the cacio e pepe and the carbonara. Outstanding! It was easily the best Italian meal we've had since moving to Denver last year. Highly recommend! Birthday for our 23 yr old so. This was my second time here. Love coming to this sophisticated restaurant! I recommend the Uptown Menu, the portions are just right and you basically get a four course meal. I plan to come again! Excellent dinner. Katie B our server was very knowledgeable and provided excellent service. Must must try the fresh mozzarella. And their menu offers delectable pasta which you can order as a full plate or small plate. Getting 4 different small plates for 2 people is an excellent way to sample them, every single one was delicious. Very highly recommend. 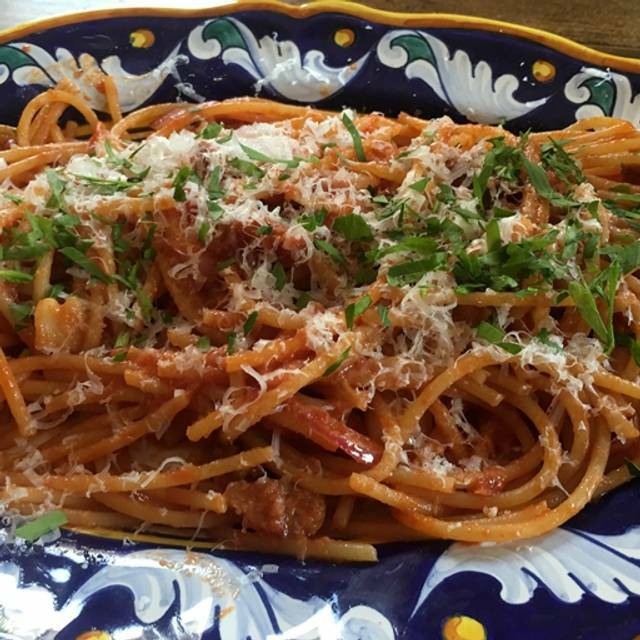 Authentic Italian trattoria, simple dishes with great ingredients that are well-prepared. The City Menu prix fix is a great value at $39/person. You get choices of antipasti, primi, secondi, and gelato. It's enough food to split one. My wife and I order one prix fix and add an extra primi and the braised greens and we leave full, but not stuffed. They also have a great wine list featuring affordable bottles from various, less-heralded, regions of Italy. Pretty much everywhere except for Tuscany and Piedmonte. The presentation of the food was very nice. However 3 of the 4 entrees were extremely salty. This was our second time dining at Coperta - the first time was magical - couldn't wait to come back. Sadly, the second time was a disappointment. The homemade mozzarella was extraordinary, but our entrees (three different pastas, one sea bass) were undercooked and over salted. Such a shame as the restaurant had such potential. Overall everything was very well orchestrated. The food was wonderful and the service was spot on. The noise level was more than expected. I love the ambiance of Coperta. The wait staff were very friendly and attentive. We had a lovely appetizer but the main pasta dishes were just ok. My husband had the lasagna and liked it but didn’t love it. I had the orecchiette with sausage and kale and felt the same. All in all I thought it was a bit overpriced for the quality. The arugula salad was delicious. It was downhill from there. The lobster+potato ravioli with lemon butter caper sauce was way too lemony which just destroyed the dish. The lamb and beef ragu was more of a paste and not a sauce and along with the pasta which looked and tasted more like a gnocchi took away from the dish. Finally the canoli seemed to be deep fried on the outside and was not very tasty. I will note that having spent more than 20 years in New York City has spoiled me but I think the food here could be much better than it was and I will not be returning. Really really ridiculously loud! Not your fault, but diners next to us greatly impacted our evening in a negative way. Wonderful experience. We came for a birthday lunch and enjoyed everything. The highlight of the meal was the Cacio e Pepe that we thoroughly enjoyed! Really enjoyed the 3-course (actually 4!) menu. The pasta is fabulous, with interesting sauces. The main courses (sirloin and eggplant parmesan) were what kept this from being a 5-star review. The sirloin was a bit tough, though the flavor was excellent. The eggplant parmesan was wonderfully cheesy, but was swimming in olive oil or similar substance, so I did not finish. We will go back, and stick to the pasta! 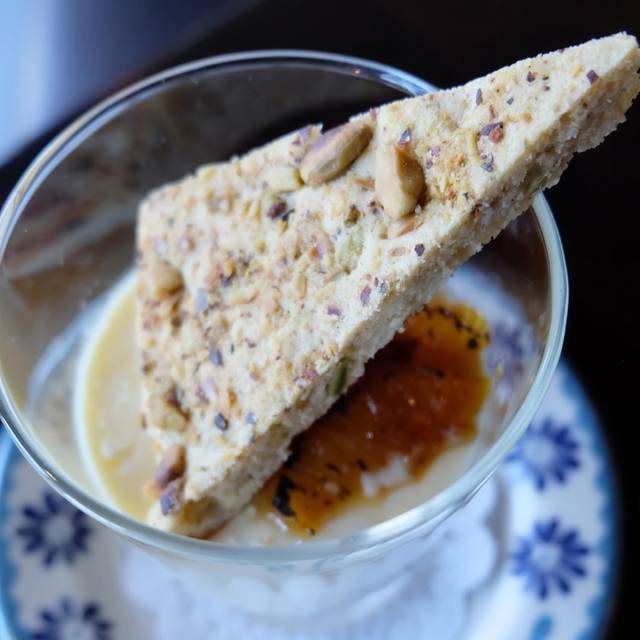 Coperta is the perfect blend of great food and a comfortable environment. We loved all of the southern Italian options. The house wine is also a great value! Birthday dinner. Best restaurant in Denver. Service and food perfect. Am I in Tuscany? 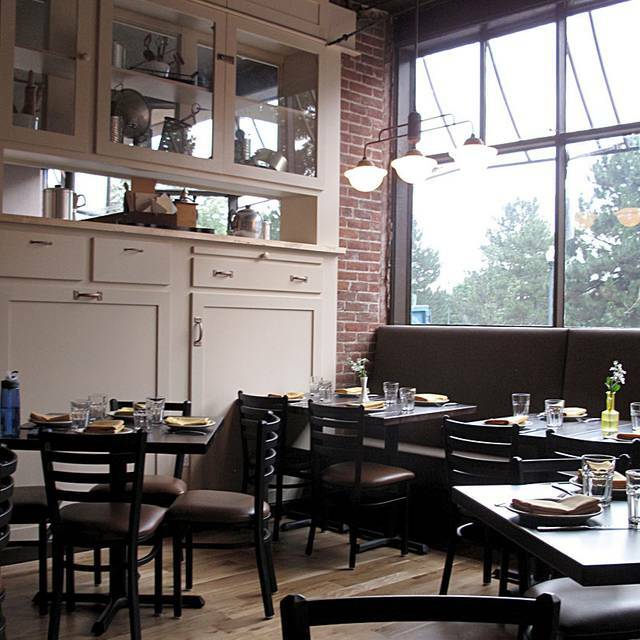 Since Coperta made the list of the top 25 new restaurants in Denver I was really looking forward to eating here. The best part of the night was the drinks at the bar and the delicious wine. The food was overall extremely salty and I am sad to say nothing special considering all of the awesome options we have in the city now. It wasn’t terrible but it was extremely average in my opinion. I didn’t realize it was still restaurant week when I made the reservation and I DIDN’T order of the restaurant week menu, I ordered off the regular menu. Their arugula salad is $14 and came in a tiny bowl. I got the lasagna for my entree, which was just OK. We ordered the sunchokes (which were good) as well as a carrot dish that we were told was prepared with honey however when we had our first bites it was extremely smoky in flavor which our server didn’t warn us about. 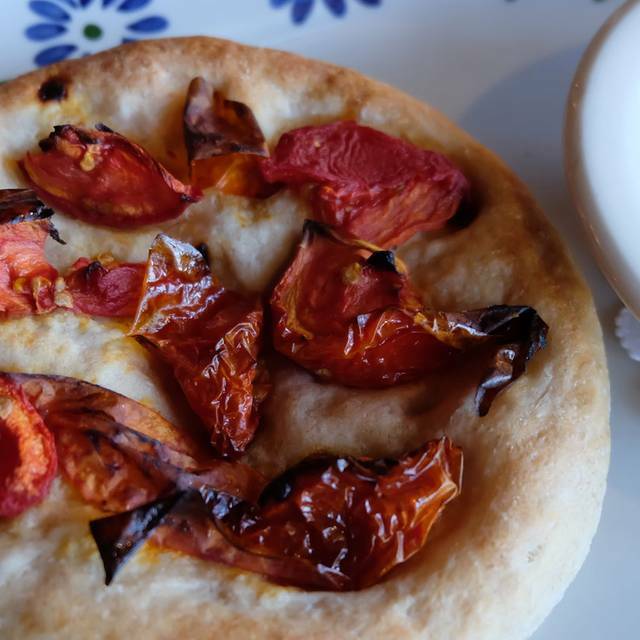 When we asked why did the dish have that smoky flavor our server gave a rude response, something to the effect of it was prepared in a woodfired oven. Huh? Preparation in a woodfired oven does not equate to smoky flavor in my past experience. We also had to send back one of the appetizers that we ordered because it wasn’t edible - it was so salty. The atmosphere is nice and the bar is great. Maybe we hit it on an off night? Overall not impressed. The service was fantastic - great recommendations from our waiter and the manager Andrew was so friendly and also attentive. We started with the Spizzulia - antipasti tasting menu. All of the items were tasty but the caponata was especially incredible. The lemon swizzle cocktail came in the most fun glass and it was so good I drank it maybe too fast. We were quite filled up after sharing the spizzulia but managed to have room for some of the Beef/Lamb Ragu pasta which was incredible and the special was a round pasta with mushrooms that melted in our mouths. Budino dessert was also scrumptious! Wonderful and knowledgable service along with a strong team at all times. Food was delicious with delicate flavors beautifully balanced. We will be back for sure. Came in for restaurant week and had a wonderful experience. Will be back!